This page contains brief profiles of the various downtown Grand Rapids Condos. There are links to a more detailed summary with each one. If you have any questions, or anything to add, please feel free to let me know. 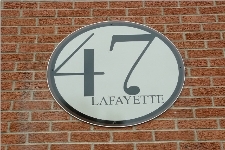 47 lafayette Condos are a new condo coversion just north of Fulton St. Great location for very affordable condos in Grand Rapids. These units would make an excellent investment or starter condo and come with hardwood floors and generous starter packages. Perfect for students or investors. Features Incl: Secure entrance. Common Lounge, Storage Room for bikes or Moped, Hardwood Floors. 65 Monroe Condos are a great addition to the downtown condo scene. These are awesome loft style condos with exposed brick, soaring ceilings, incredible bamboo floors, granite and unique fixtures throughout. These should definitely be on your list of must see condos. Owners also benefit from the Renaissance Zon. These condos are in an extended tax free zone and city, state and property taxes are waived until 2017. That could mean a very nice savings. Avenue 23 condos are an affordable downtown condo that are perfect for an investor, student or first time buyer. (Don’t forget that $7500 Tax Credit!!). Don’t be deceived by the plain exterior. This former 20 unit apartment building has been completely converted on the inside into quality condominiums. 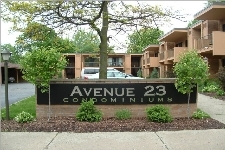 Avenue 23 Condos come with all appliances, bamboo floors in the living area and tile in the cute kitchen and bath areas. Bedrooms have walk-in closets and a private patios out back. There is on-site laundry, storage and deeded parking. Features Incl: Bamboo and Tile Floors, Ranch style, walk-in closets, patio. Boardwalk condos are a fun community about 1 mile north of the downtown Grand Rapids core at 940 Monroe NW. This lovely, large old brick building is fully loaded with amenities including J.D Reardon’s restaurant, Fitness Center, game room, theatre room and beauty salon. A large terrace off of the restaurant overlooks the pool and hot tub area. Boardwalk condos offer individual units with tall beamed ceilings, exposed brick and the original exposed wood beams. Laundry hookups are available in each unit as well as a laundromat onsite. *Features Incl: Secure entrance. beamed ceilings, Exposed Brick, Loft Style, In Unit Washer/Dryer Hookups, Fitness Center, Patio/Deck, Cable Satelite, Roof Top Deck, Salon, Restaurant. The Brickway Residences are a small 8 unit development located above Xo Asian Cuisine at 56 Monroe Center. These affordable new condos occupy a space that has been unused for decades. 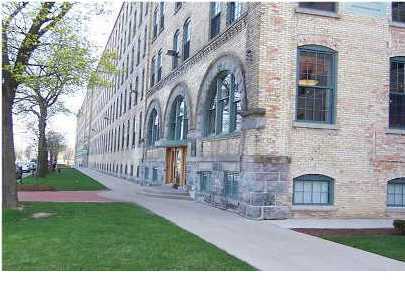 Brickway Condos are 1 bedroom condos in Grand Rapids entertainment district. The project was started in February ’08 and is nearly completed. As of this date, all units have been sold! Features Incl: Secure entrance. Hardwood Floors, Loft Style. Cherry St Lofts occupy what used to be known as “the finest apartments in town”. 8 hip, new condos now fill the 90 year old red brick building at the corner of LaGrave and Cherry St. These downtown condos are large 1 bedroom units with large kitchens, a fireplace, hardwood floors etc. A secure entry and a good sized rooftop deck with a hot tub and off street parking are also included. Cherry St Lofts surely fit the bill for affordable downtown condos and are ready to move right in. The association fee is reasonable at $165/mo. 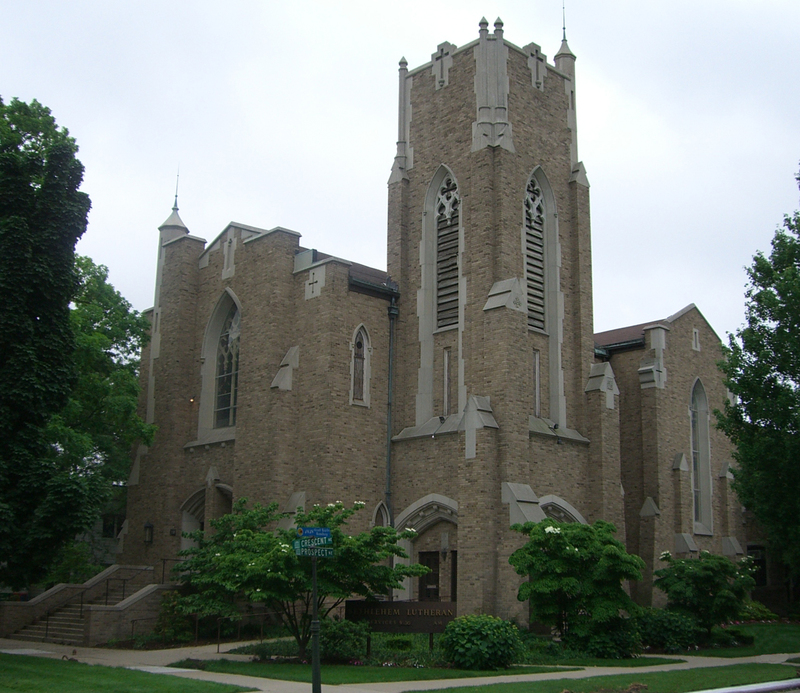 Best of all is the location, right accross from St Mary’s, a few minutes walk to Cooley Law School. And a few blocks south of Fulton St and all of the energy that Downtown Grand Rapids has to offer. *Features Incl: Private secure entrance. Common Rooftop Deck with Hot tub, Fireplace, Off Street Parking. Cityview Condos are luxurious condos occupying the upper floors of the Select Bank Building downtown at 60 monroe Center. These condos offer 1 and 2 bedroom spaces with tall ceilings and large windows overlooking Grand Rapids’ Entertainment district. A major bonus of these condos is the savings. Cityview are in an extended Renaissance Zone where City and State Income taxes and property taxes are waived until 2017. Thre are two Penthouse condos at the Top of the building. These great units have 3800 sq/ft of living space with 3 bedrooms and 3 baths. A must see. El Dorado condos are located on Lyon St NE between College and Union. These lovely Heritage Hill condos have been painstakingly converted from the Bachelder Apartments which were built in 1910. Many of the original architectural elements have been preserved including refinished hardwood floors and original cut tile flooring. State of the art kitchens were added which offer concrete counter tops and stainless steel appliances. 4 units remain out of the original 13. Pricing: from ~$250k – 1 and 2 Bedrooms from 770 sq/ft. The Fitzgerald Condos are a luxurious addition to the downtown Grand Rapids Condo scene. Located at 57 Library St in the old YMCA building, this new condo conversion is close to completion and features all of the amenities you would expect from a prestigious downtown residence. Deeded parking is included as well as a fully equipped fitness center and a park-like roof-top deck with scenic paths, custom spa, grills and sitting areas. In building common areas feature a lavish wood-paneled library. These condos are fully appoiinted and just await your personal touches. Front Row Condos are a luxurious addition to our downtown Condo scene. 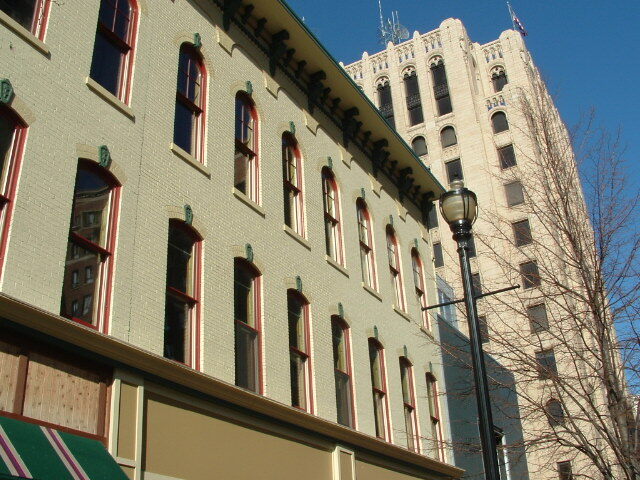 Located between Division and Ionia at 51 Monroe Center, Front Row Condos occupy the second floor of the building above Grand Central Market, Jimmy Johns and West Coast Coffee. These spectacular downtown residences for sale are gorgeous examples of downtown urban living. Some of the features include granite counters, bamboo floors, tall ceilings, large windows and the 2 bedroom units offer a whopping 2000+ square feet of living space. The main of advantage to purchasing a condo at Front Row is the tax-free living. Gotham Lofts are a new rehab downtown condo offering located just south of Wealthy on Division. This 4 unit project features large, 2 story loft style condos with exposed brick, winding staircases and soaring ceilings. There is one, 2 bedroom unit for sale for $188,900. Hillmount Condos are locatred at the corner of Cherry St and College Ave. These are newer condo conversion that has been done really well. Inside the units you can find many upgrades like bamboo floors, solid surface counters etc. The living areas have plenty of light and Hillmount offers amenities like a fitness center and roof top deck. These are definitely affordable condos in Heritage Hill within 15 – 20 minutes walk from the center of town. 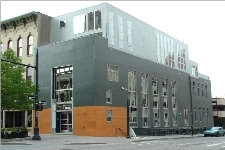 Landmark Lofts are located at 801 Monroe Ave NW about a mile north of the downtown core. These are very nice loft-style condos with exposed brick, hardwood floors and unique layouts. Many of the units have some spectacular upgrades including granite counter tops, hardwood floors, tile etc. Landmark Loft Condos are right on the Grand River at the 6th street park and you can walk along the river, try your skill at landing a trophy salmon as they run up the river using the fish ladder. *From ~~700 Sq/ft to 1500+ Sq/ft. *Features Incl: Secure entrance. beamed ceilings, Exposed Brick, Loft Style, In Unit Washer/Dryer Hookups, Balconies, River Views, Park Views, Close to Walking trails. Monroe Terrace Condos are a 2-story Grand Rapids’ Loft style, 28-unit condo with exposed brick, hardwood floors, exposed duct-work and are located across the street from the Grand River. Monroe Terrace condos are in a Renaissance Zone where you won’t pay taxes until 2012. These are unique 1 and 2 bedroom condos starting at ~$220k at about ~900 sq/ft. *Features Incl: Secure entrance. Hardwood Floors, Exposed Brick, Loft Style, Washer/Dryer Hook-Ups, Large Windows, Covered Parking and Tax-Free Living until 2012. 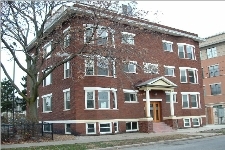 Park Row Condos are located at 430 Union St NE within walking distance to the Grand Rapids Medical Mile. These are a new construction and now have occupancy. Park Row are well built condos that feature a very generous standard package that includes wood floors, granite counter tops, lovely kitchen cabinetry and stainless steel appliances. Association fees are low at $100/mo and that includes underground, heated parking. Pricing: from ~$165k - 1, 2 and 3 Bedrooms Available from ~717 sq/ft to 1900+ sq/ft. 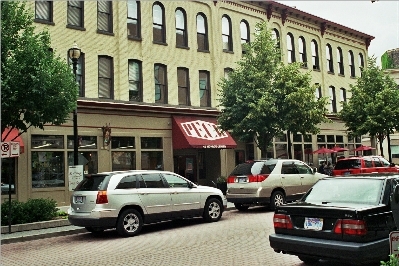 Peck Condos are affordable loft style condos in downtown Grand Rapids, located at 40 Monroe Center. There are 1 and 2 bedroom condos that feature secure entry, hardwood floors, exposed brick and each unit comes with a washer/dryer combo. Peck condos offer a great location and would make an excellent starter or investment. Pets are allowed and association fees are low considering the location. *Features Incl: Secure entrance. Hardwood Floors, Exposed Brick, Loft Style, Washer/Dryer, Huge Windows. Plaza Towers condos enjoy the best location in the heart of Grand Rapids at the corner of Fulton St and Monroe. Loaded with amenities and spectacular views of the city and Grand River sunsets, Plaza remain highly desireable condos. 1, 2 and 3 bedroom condos are available with prices from $130,000 to over $400,000. Cats only are allowed, no dogs. Renatus On The Hill condos in Heritage Hill are new rehab in the historic Bethlehem Lutheran Church. These will be fully customisable and livable condos. The developer is going to great lengths to preserve and rejuvenate and incorporate the spectacular features of the building including stained glass windows and rich woodwork. 1, 2 and 3 bedrooms available. Minimum 1.5 baths. *Features Incl: Unique European Flavor, Rooftop Decks, Gas Grill, Patio, Soaring Ceilings, Beautiful original woodwork and incredible stained glass windows. Parking will be included. River House Condos are a new construction that is nearing completion. It has been fun watching the building slowly take shape along the Grand River and now that condo owners are finally moving in, it is even more fun to go through the building and see the finished, individual units. River House Condos offer many amenities including fitness center, pool/hot tub area and have 1, 2 and 3 bedroom condos available starting in the $200,000 range. Square footage range from 916 to over 1800 plus there are 4600 sq.ft penthouses available as well. *Features Incl: Secure entry and on-site security, 2 Parking Spaces, Private Decks, Fitness Center, Pool/Hot Tub, Laundry, Dry-Cleaning Pick-up, Great Views and Location. Tannery Row Condos are a cool, urban condo with a terrific location on Ionia just south of Fulton. You are right in the center of downtown Grand Rapids and with the Van Andel, the Bob, Bar Divani, J Gardella’s Tavern all within a few steps, you are never at a loss for something to do. Tannery Row Condos are 1 and 2 bedroom Grand Rapids Lofts with tall ceilings, exposed brick and duct-work and come with a roof top deck and parking. Thirty Eight condos are downtown Grand Rapids newest upscale Penthouse condo. Located at 38 Commerce avenue, just south of Fulton and within walking distance to the VanAndel Arena and the multitude of downtown restaurants and boutiques. These condos offer multiple floor plans or you can design your own. Features will include granite counters, highend appliances, ceramic or hardwood floors as well as all of the other amenities you would expect from an upscale condo offering. *Features Incl: Secure entrance. Same floor parking. Multiple floorplans or design your own. Union Square condos are a cool addition to the downtown Grand Rapids condo scene. These are loft style condos in a Grand Rapids Renaissance Zone with many unique floor plans to choose from. Many of the original features of the High School were preserved and incorporated into these condos and the building has great amenities for it’s owners. *Features Incl: Secure entrance. Exposed Brick, Loft Style, In Unit Washer/Dryer Hookups, Fitness Center, Patio/Deck, Roof Top Deck, Pool, Hot Tub and Tax Free Living. Waters Towers Condos are one of the best kept secrets in the Grand Rapids Downtown Condo market. These are affordable condos in Heritage Hill with plenty of living space, secure covered parking and secure entry. Each condo has a large balcony and the location is just right. These should be on your list of condos to see. Click Here for available downtown condo rentals.